Need repair on your commercial metal roof? Thinking of replacement? Why not call Taurus Elite Commercial Roof Systems instead and order a complete Commercial Metal Roof Restoration?. 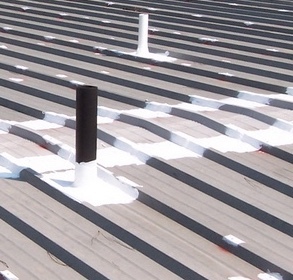 The sun and our sometimes extreme weather impact all of our roofing systems. It causes fasteners to back out, laps to peel back, splits and cracks in the roof’s membrane, among other problems. There’s a much better option than the time consuming, expensive and obtrusive process of replacing your metal roof. We can deliver seamless protection against the weather, driving rain and extreme heat, and at the same time, saving you a lot of money. We’ve been working with property managers, building owners and facility managers for almost 2 decades. We are known as “The Metal Roof Restoration Experts” due to our extensive technical expertise and experience with this game changing process. This is a customized solution, because we know that each and every metal roof has its own unique characteristics. You’ll get lower life cycle costs with extendable warranties with our high performance restoration system, keeping your building a dependable asset. our one-of-a-kind roof restoration systems have performed well for years after being installed. So, it begs the question – why keep tossing your money away when you could be saving with our system and investing that money back into your business? Upon request, we’ll supply you with the names and numbers of past customers and projects from your area. Great systems can’t work with great applicators to implement them. Our vast, trained applicator network is one of our greatest assets. Our training programs don’t just work well with our contractors, but benefit our building owner and property manager customers to protect their buildings. We feel confident that we have the best technical service team in the industry. One big disadvantage of a full roof replacement is that you may have to shut your business down as its being installed. This can obviously cost you money and time. You could just get the localized issues repaired, but that would be just a temporary solution that won’t completely solve your problem. If there is an affordable, long-term solution why wouldn’t you take advantage of it? 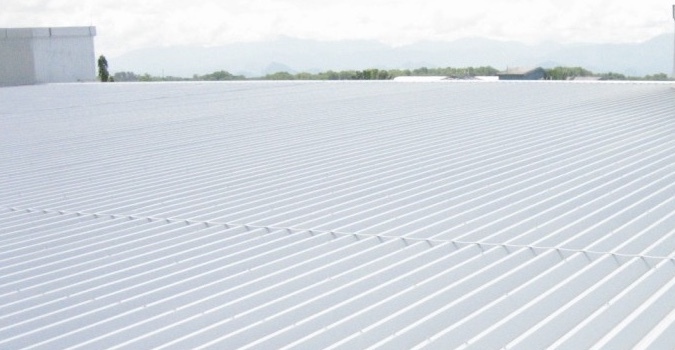 Our commercial metal roof restoration system at Taurus Elite will add years to your metal roof’s lifespan and restore it back to almost new condition. Our technologically superior, high-tensile coating, one of our critical components, sets the standard for affordability and quality in metal roof repair and restoration, sealing all of your metal roof’s seams and leaks. It’s the best choice for protection against color fading and severe weather. There are Cool Roof options and bright white reflective options with high Energy Star ratings. Long-term system and material warranties and guaranties back up all of our systems. Don’t replace your roof….Restore it! Thats our motto. Because restoration is a great choice over replacing your roof. As you know, when they age, metal roofing systems will inevitably fail. Seams and fasteners are the two biggest factors for metal roof failure. Metal roof repair and metal roof restoration have somewhat similar water sealing procedures. When you repair your metal roof, you’re just fixing the areas that are leaking, instead of sealing the entire roof. We have options for just repairing your metal roof if your business doesn’t quite have the budget for a full blown restoration project. Having an inspection and assessing the specific problem areas so you can portion your available budget for the repairs. Every single fastener and screw is a possible problem area that needs to be inspected. There’s a rubber washer under each screw that is supposed to seal it off from moisture when they’re installed. But, as time goes by, they get brittle and start to crack, letting moisture get under the screw or fastener and into your property. Because they are installed with big sheets, metal roofing is vulnerable due to the edges of each sheet being a potential area for water penetration. Water can get up and in between the metal sheets, pushed by high winds and a wicking action and right into your property. When the metal roof is initially installed, there is sealant applied up and between each metal sheet. However, over time, the sealant deteriorates, allowing moisture to get through. Taurus Elite Commercial Roof Systems, 512-332-4422, is a commercial metal roofing contractor based in Austin, Texas, and specializing in commercial metal roof repair, commercial metal roof restoration and commercial metal roof services in the Austin Texas area, including Round Rock, for the last two decades. Give us a call when you need honest advice about your metal roof repair and restoration options.